Thomas Grisaffi is a Leverhulme Early Career Research Fellow at University College London. Prior to joining UCL, Thomas taught at the London School of Economics and was a Postdoctoral fellow on the SSRC/Open Society Foundation’s Drugs, Security and Democracy program. He studied for a PhD in Social Anthropology at the University of Manchester. Director of the Andean Information Network, Cochabamba, Bolivia. For over two decades the US has funded repressive forced coca eradication in Peru, Colombia and Bolivia to reduce the illegal cocaine trade. These policies have never met their stated goals and have generated violence and poverty. In 2006 Bolivia definitively broke with the US anti-narcotics model, replacing the militarized eradication of coca crops with a community-based coca control strategy. The program substantially reduced the coca crop while simultaneously respecting human rights and allowing farmers to diversify their livelihoods. This article outlines the elements of the Bolivian initiative that ensure its continued successful functioning. It explores to what extent this model can be translated to other Andean contexts. Successive US administrations have described illicit drugs as a threat to national security and have taken the battle to source regions. Over the past 30 years the US has channelled billions of dollars to South American military and police forces to enable them to undertake counter-narcotics operations. In the Andean region the US has focused its efforts on the eradication of illicit crops (mostly coca leaf – which is used to produce cocaine – but also opium poppy and marijuana), law enforcement and the interdiction of drugs shipments. The aim of ‘supply side enforcement’ is to curb the flow of illicit narcotics reaching the United States. Historically, the US has dictated the terms of the ‘war on drugs’, and has used its political and economic might to crush any debate on alternatives. However, some Latin American leaders have begun to openly critique the failure of present policies to achieve their goals and the high cost of implementing supply reduction efforts (in terms of violence, corruption and institutional instability). They have argued for more effective and humane alternatives and some countries have even made unilateral changes to drugs policy (see Grisaffi 2014b). As a result of pressure from Guatemala, Colombia and Mexico, the United Nations has scheduled a General Assembly Special Session (UNGASS) on drugs for April 2016. The outcomes of the Special Session will guide global drug policy cooperation for the coming years. The last UNGASS regarding drug policy in 1998 adopted the slogan ‘a drug free world, we can do it’, but eighteen years later it has become clear that this is an unrealistic goal (Bewley Taylor 2012). This Special Session, then, provides an opportunity for a profound shift in the global drug policy debate. This article adds to the discussion through an analysis of illicit coca cultivation and the policies to tackle it in the Andean region, with a specific focus on Bolivia. It draws attention to the harms generated by US-backed militarized eradication and the aerial fumigation of coca crops, and explains why this policy ultimately fails to stem coca and cocaine production. The article then introduces Bolivia’s innovative model for coca control, which shifts the focus from reduced hectares of coca to farmer subsistence, citizenship and respect for human rights. The model, known as ‘cooperative coca reduction’, allows registered farmers to grow a limited amount of coca while working with coca grower federations and the security forces to voluntarily reduce any excess coca production. Since 2010 Bolivia has reduced coca acreage while simultaneously respecting human rights and successfully diversifying the economy in coca-growing regions. It is argued that cooperative coca control represents a more humane, sustainable and productive alternative to the forced eradication of coca crops. In the final section the authors examine the elements of the Bolivian initiative that permit its continued productive implementation and explore their potential applicability to other Andean contexts. This article is based on extensive long-term ethnographic fieldwork and interview data.1 Grisaffi is an anthropologist who has spent over thirty months carrying out fieldwork in the Chapare (a coca-growing region of Bolivia) over several visits spanning the period 2005 to 2015. Ledebur has researched coca production in Bolivia since 1999 as director of the Andean Information Network. The authors carried out interviews and participant observation with a broad range of informants, including coca farmers and their families, landless labourers, agricultural union leaders, low-level coca paste producers, members of the security services and municipal officials. They have also interviewed Bolivian, US and EU policymakers, government officials, NGO agency staff and representatives of international organizations. Coca is a perennial shrub native to the Andean region; it grows in tropical areas at elevations of between 200 to 1500 meters. Coca leaf has been used for millennia by indigenous peoples in the Andean countries and is most commonly chewed or prepared as a tea. The people who consume coca value its properties as a mild stimulant but it also serves important social, religious and cultural functions (Carter & Mamani 1986). Despite its many positive benefits and the coca trade’s historic importance to the regional economy, the leaf has always occupied an ambiguous position in Andean society. Since the Spanish conquest, activists, legislators, scholars and the clergy have debated the legality of coca and its derivative products (Gootenberg 2008). In 1961 the UN classified coca leaf as a restricted drug (alongside cocaine and heroin) under the Single Convention on Narcotic Drugs. The convention – signed by Peru, Colombia and Bolivia – establishes that ‘the parties shall so far as possible enforce the uprooting of all coca bushes which grow wild. They shall destroy the coca bushes if illegally cultivated,’ and, ‘coca leaf chewing must be abolished within twenty-five years’ (Metaal et al 2006). The 1961 convention thus established the legal framework for future US-imposed coca eradication efforts. Peru, Colombia and Bolivia each have unique histories, cultures and traditions related to coca and, as a result, each nation pursues a different approach to enforcement. Colombia penalizes coca most severely, outlawing all aspects of production, consumption and commercialization. Colombia has comparatively limited traditional consumption2 and so unlike in Peru and Bolivia, there is no widespread support for its traditional uses (Ramirez 2011: 55). Furthermore, in Colombia revenues derived from the illegal coca trade have fuelled the country’s civil conflict (Peceny & Durnan 2006; Thoumi 2002). The Colombian state has long embraced US-designed and funded forced eradication strategies, although recently its leaders have started to question the sustainability of this approach. In Peru coca consumption is common in highland areas but is also consumed by middle class urban professionals, and is served to tourists in Cusco to help them cope with the high altitude. Peru’s coca legislation is less rigid than Colombia’s because while the state officially condemns coca chewing and prohibits private coca cultivation, it nevertheless authorizes limited coca production and commercialization for medicinal, scientific and industrial purposes. Like Colombia, Peru receives significant US counter-drug aid and has ambitious plans to eradicate half the country’s coca crop over the coming years (Gootenberg 2014). Bolivia has the strongest coca culture of all the Andean countries. A recent EU-funded study calculated that about one third of Bolivia’s population regularly consumes coca or coca-based products, including coca teas, skin creams and liquor (CONALTID 2013). Bolivian President Evo Morales has led the battle for the decriminalization of coca leaf at the international level, arguing that the ban on traditional use is not only a historic mistake,3 but also discriminatory towards Andean peoples. In an unprecedented move, in 2011 Bolivia withdrew from the 1961 UN Single Convention on Narcotic Drugs, before re-joining in 2013 with a reservation that permits coca consumption within its territory. Bolivia thus successfully reconciled its international commitments and its 2009 Constitution, which declares that the state has a duty to preserve and protect coca chewing as an ancestral practice. Peru, Colombia and Bolivia are the world’s largest producers of coca leaf. The most recent UN coca surveys estimate that Peru has 42,900 hectares of coca (UNODC 2015c), Colombia 69,000 hectares (UNODC 2015a) and Bolivia 20,400 hectares (UNODC 2015b). In each country coca cultivation is concentrated in marginal areas, characterized by minimal civilian state presence, limited infrastructure and high rates of poverty. In this context coca complements subsistence farming and, in the absence of other income generating activities, is one of the few pursuits that provide farmers with access to cash income – see Figure 5). The security forces respond to a coca grower roadblock in the Chapare (Photo courtesy of Godofredo Reinicke). 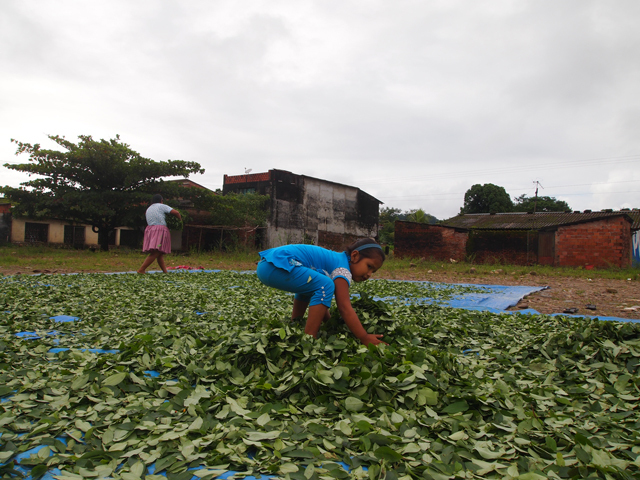 A girl helps her mother dry coca leaves in the Chapare (Photo courtesy of Thomas Grisaffi). Military police search Chapare residents (Photo courtesy of Godofredo Reinicke). 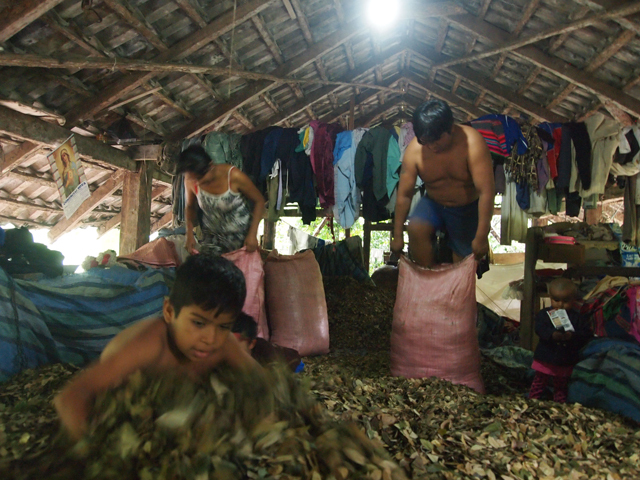 Chapare coca leaf drying (Photo Courtesy of Thomas Grisaffi). A Chapare family bags coca leaves (Photo courtesy of Thomas Grisaffi). Small-scale farmers grow coca because it has several comparative advantages as a cash crop. Coca can be harvested every three to four months; it is light and easy to transport; and almost all of the investment corresponds to labour costs and not to tools or other inputs, which leads to elevated levels of employment – see Figures 2 and 4). Coca leaf generates far higher returns per hectare than any other crop and, most importantly, there is always a guaranteed market. Given the lack of legal alternatives and the high prices, much of the coca crop is sold to traffickers who process it into cocaine paste (the first step towards refining pure cocaine). In the Chapare coca-growing region of Bolivia, the people who process cocaine paste are generally young men with no land or hope of decent jobs. They set up artisanal laboratories in isolated areas, where they macerate shredded coca leaves in a range of chemicals including sulphuric acid and gasoline to extract the cocaine alkaloid. The drug workers earn low wages for work that is dangerous, illegal and harmful to their health (Grisaffi 2014a). While coca has provided small farmers with economic opportunities, its cultivation is also associated with a range of negative environmental and social impacts. As coca is grown in isolated areas it expands the agricultural frontier and contributes to significant deforestation. In addition, the chemicals used to process cocaine paste, including gasoline and sulphuric acid, drain into streams and rivers, damaging delicate aquatic ecosystems (Young 2004; Salisbury & Fagan 2013).4 Researchers also point to the negative social impacts; in Colombia the major guerrilla groups, including the Colombian Revolutionary Armed Forces (FARC by its Spanish acronym) and right wing paramilitaries, finance their activities by taxing coca production. Farmers have been caught in the crossfire as illegal armed groups struggle for control over this lucrative trade (Angrist & Kugler 2008; Ibáñez & Eduardo Vélez 2008). A cornerstone of US strategy in the Andean region has been the eradication of coca crops. Eradication is often carried out manually; teams of eradicators accompanied by heavily armed members of the police enter small farmsteads to uproot illicit crops. Colombia was the only Andean country to allow the aerial fumigation of coca crops. US policymakers are strong supporters of forced crop eradication; however, a growing body of research indicates that it does not meet its targets and generates wide-ranging harmful impacts. Eradication has no obvious effect on drug production or the supply of drugs reaching consumer markets. Farmers have found ways to protect their crops from herbicides and to generate higher yields per hectare by increasing the density of coca plants and using new combinations of fertilizers and pesticides. Moreover, cocaine paste manufacturers have employed new technologies and processes to extract more cocaine alkaloid from lower volumes of coca leaf. As a result, in spite of eradication efforts, potential cocaine production in the Andes has also remained virtually unchanged (Mejia 2010; Mejia & Posada 2008). Forced eradication puts the burden of the war on drugs onto small farmers (who gain the least from the trade) and generates multiple harms. Forced eradication immediately wipes out the family’s main source of income, frequently leaving people destitute and struggling to survive. Eradication also imperils targeted growers and their communities by orienting the security forces towards internal ‘enemies’, often leading to human rights violations – see Figure 3. In all three countries eradication teams have killed, abused and seriously wounded scores of coca farmers, torched homesteads and incarcerated and tortured hundreds of people. Institutional damage has been compounded by the impunity that US-backed security forces frequently enjoy (Youngers & Rosin 2005). Under the auspices of ‘Plan Colombia’6 the Colombian government sprayed more than half a million hectares with herbicide between 2000 and 2010 (Ramirez & Youngers 2011). The government has always argued that the chemicals used to spray coca are benign; however, anthropologist Maria Clemencia Ramirez (2011) has reported that people who live in spray zones suffer from a variety of ailments including skin, respiratory and gastrointestinal problems. They also complain that spraying is indiscriminate and carried out without warning. The herbicides have caused environmental damage (including water contamination and land degradation) and have affected food and cash crops, undermining food security. Given the lack of alternatives, farmers often replant coca deeper in the jungle. Thus all that eradication achieves is to displace coca cultivation and spread the civil conflict to new areas (Dion & Russler 2008). The Colombian government acknowledges the poor results of fumigation and since 2007 has downscaled crop spraying and stepped up manual eradication missions, finally ending aerial fumigation in October 2015. Forced coca eradication has provoked political instability in the Andean countries. 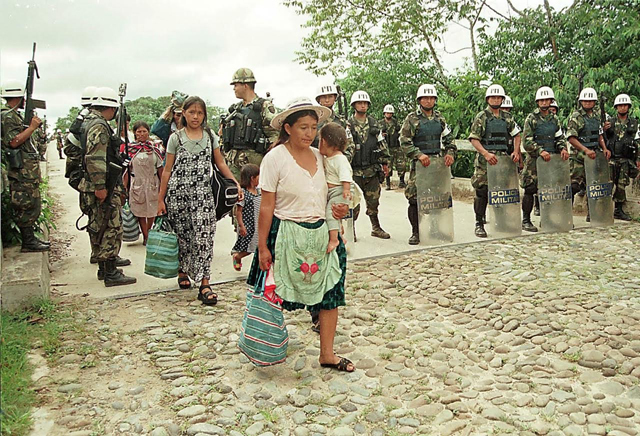 In Peru and Colombia peasants have held national-level protests to campaign against coca eradication and in both countries illegal armed actors (Sendero Luminoso [Shining Path] in Peru and the FARC in Colombia) have, on occasion, sided with coca growers to resist government eradication efforts (Durand Ochoa 2014; Ramirez 2011). In Bolivia, US-backed coca eradication catalysed mass discontent and demonstrations – see Figure 1 (Grisaffi 2010). The UN Office on Drugs and Crime (UNODC) has increasingly come to view drug control as a ‘development issue’. Whilst ‘alternative development’ approaches have changed over the years, the aim remains the same: to wean people off cultivating illicit crops. However, with few exceptions, these programs have not offered poor farmers realistic alternatives to growing coca (Buxton 2015; Mansfield 2011). An examination of US Agency for International Development (USAID)-designed and -funded programs in the Chapare, one of Bolivia’s principal coca-growing regions, illuminates some of the limitations of ‘alternative development’. Sure, we have other products… you can grow just about anything in the Chapare; it is a fertile place. But these products are only good to eat. The prices are too low. We have oranges, thousands of oranges, but when we take them to the market they don’t sell. Sometimes you invest all of your money transporting them to the city but then you don’t make back what you paid out. You cannot make a living that way! USAID refused to work with the existing agricultural unions (hereafter the Coca Federation) or, until 2004, the municipal governments (which have been run by the Coca Federations since 1995). From 1998 farmers had to cut their ties with the Coca Federations and join one of the USAID-backed producer associations to receive development assistance. Associacionistas, as they came to be known, had to promise to no longer grow coca and denounce neighbours who continued to do so. Many coca growers saw this as an attempt by USAID to divide and conquer the Coca Federations. As one Federation leader put it ‘we realized that the Yankees were trying to make us fight between comrades (community members).’ Others said, ‘the [USAID-contracted] NGOs came here to destroy the unions.’ In 2008 the Coca Federations refused to permit any further USAID alternative development projects in the Chapare (AIN 2008). In Peru and Colombia the government, donor agencies and development contractors replicated these failed initiatives with little variation. In both countries there has been a lack of meaningful consultation with peasants’ organizations, poor sequencing of development assistance (conditioned on prior eradication), a lack of long-term planning and the promotion of crops aimed at the export market, which have proven to be unsuitable as there were often no markets for them (Buxton 2015; UNODC 2005). USAID’s emphasis on promoting private agribusiness has had a range of harmful impacts including generating few jobs at low wages, damaging ecologically sensitive environments and encouraging the concentration of land ownership, thus contributing to rising levels of inequality – including within coca grower communities (Cabieses 2010; Vargas 2011; Youngers & Walsh 2010). In Colombia this development model has been particularly damaging. Paramilitaries have forced peasants from their land to allow for the expansion of large-scale commercial farming (Ballvé 2013; Hristov 2009). As coca growers have long known, no sole source of income will replace coca, especially in fragile tropical environments with poor infrastructure and minimum state presence. As a result, crop ‘substitution’ and ‘alternative’ constitute two of the fundamental myths presented as justification for forced eradication and their inevitable failure guarantees endless cycles of repression, poverty and replanting of coca leaf. It is therefore essential that policymakers move beyond this spurious, yet damaging, precept. 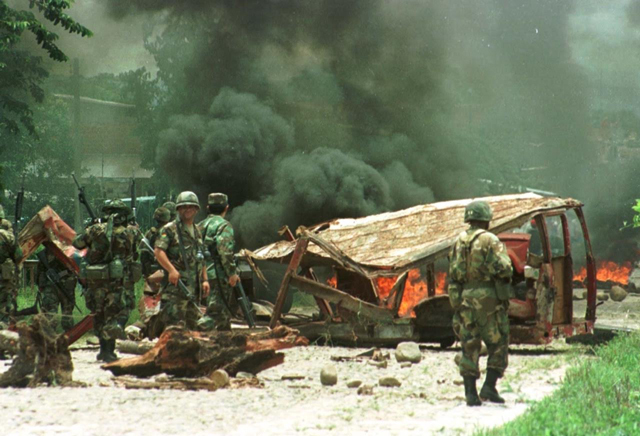 The death of two coca growers at the hands of government eradication forces in October 2004 (just weeks after a negative evaluation of Bolivian eradication efforts by the US government) sparked massive social unrest in the Chapare region of Bolivia. To calm the growing tension the Mesa administration (2003-2005) accepted a longstanding demand of Chapare coca growers, the right for each family to cultivate a small plot of coca, or ‘cato’ (1600 square meters) destined for the licit market. The concession, which flew in the face of US eradication mandates, effectively ended forced eradication in the region. The initiative marked a shift in vision away from the US-imposed narrative, which portrayed coca farmers as active participants in the drug trade, to subsistence farmers working to feed their families. With the launch of the cato policy, protests, violence and human rights violations subsided immediately. Union members went from staunch resistance to the government to active citizen participants, working to limit their crop to one cato per union member. The program’s underlying logic helped to guarantee its success: the equitable distribution of the small plots of coca among established union families effectively increased leaf prices and provided each family with the equivalent of a monthly minimum wage. Land titling for coca-growing families with catos. Biometric registry of coca growers authorized to grow the cato. The registration and recurring measurement of each cato of coca by the state monitoring organization, the Economic and Social Development Unit (UDESTRO by its Spanish acronym). The creation and maintenance of a sophisticated database (SISCOCA), which aids the monitoring of coca cultivation and traces coca leaf transport and sales. Integrated development projects to complement subsistence income generated by the cato. The empowerment of the community to self-police in order to restrict coca cultivation to the one-cato limit. This includes training for union representatives on database use and community joint action to monitor and restrict coca planting. Building on this groundwork, once in power Morales’s Movement Towards Socialism (MAS by its Spanish acronym) administration channelled development assistance to coca-growing regions and increased state presence through investments in roads, schools and health posts to bring the region into the economic and social mainstream. The government has also provided farming communities with access to mechanized tools to speed up production, such as rice husking machines and tractors, established cold chains for dairy produce and built fruit and honey processing plants in the region. These initiatives have expanded the market for local produce. One farmer explained that the fruit juice processing plant (a state-owned enterprise run by a local union) buys his oranges at a set price and does not require him to be part of a ‘producers association’. Others gave similarly upbeat appraisals. In contrast to US-driven initiatives, these government-led programs recognize the importance of restricted coca cultivation and the strategic advantage of working with the well-organized union structure. The Chapare farmers are making the most of these opportunities and are successfully diversifying their sources of income. Giovanni Terrazas,13 the architect responsible for UDESTRO’s development arm, spoke about the success of fish farming in the region: ‘we set up twelve model ponds and they were a success. The farmers saw that it was profitable and they said, “I can do it too” and they started to dig their own pools; now there are 82 such ponds.’ The farmers concur with Giovanni’s analysis. One woman explained to the authors that her fishpond generated twice the revenue of a cato and she said that she might abandon coca altogether. These projects are reducing the farmers’ dependency on coca, with many now describing coca in terms of a ‘savings account’ rather than their main source of income for daily expenditures. The fact that coca growers are willing to assume the risk associated with alternative income sources – be it fish farming or growing oranges – marks an important subjective change. In 2011 the UNODC noted that for the first time there had been a significant expansion of non-coca crops in the zone (UNODC 2011: 47); even USAID echoed the sentiment (GAO 2012: 17). Chapare residents claim that today there are more jobs in non-agricultural work, government scholarships have allowed their children to study at university and access to cheap government loans means that they are now able to start their own businesses. The economic upturn is visible. Until 2006 most people used bicycles to get around but today they have Chinese-built motorcycles and some even have cars. The coca growers have begun to replace their wooden shacks with houses made from bricks and mortar and, as a result of government infrastructure programs, access to basic services has expanded dramatically. 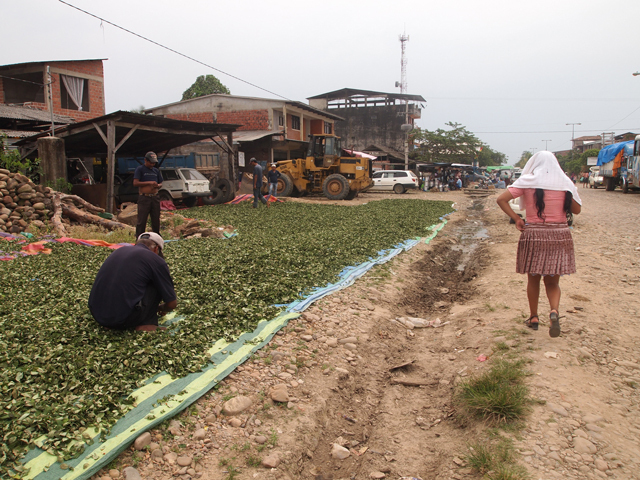 PRAEDAC’s initial efforts to strengthen Chapare local government and reduce poverty allowed for the successful transition of coca control agencies (previously funded and supervised by the US Narcotics Affairs Section, NAS) to be efficiently run by farmer representatives. The state offices that monitor the distribution of the coca crop and plan its reduction (UDESTRO) now integrate local civil society representatives into state institutions, further enhancing their legitimacy. Coca growers told the authors that workers at UDESTRO are now viewed as compañeros (partners) as opposed to enemies. One female farmer explained, ‘they understand that we depend on coca’ and ‘we can talk to them, if there is a problem, then we can find a solution.’14 Credible, first-hand knowledge of coca farming, rapport and capacity built through training has led to the development of transparent and efficient systems and guidelines that protect the subsistence rights of the farmer. The control initiative also demonstrates Bolivia’s commitment to addressing the international community’s concerns about coca cultivation for the illegal market. The Morales administration has made efforts to industrialize coca for licit uses, including setting up coca processing plants to manufacture coca tea in sachets, along with a range of other products. However, for the meantime these plants run well below capacity because coca remains on the UN list of restricted substances; as such, these products cannot be legally exported and the domestic legal market cannot soak up Bolivia’s current coca production. An EU-funded study suggests that Bolivia needs 14,000 hectares to satisfy domestic consumption (CONALTID 2013), far below Bolivia’s current production levels . Today Bolivian government and UNODC monitoring teams can accurately measure the coca crop and its distribution in situ.15 As a result, for the first time in any country, there is a consensus amongst major players and the international community about how much coca there is and where it can be found.16 The data shows that in 2010 the Bolivian coca crop stood at 31,000 hectares but by 2014 it had declined to 20,400 hectares, less than half the coca found in either Peru or Colombia (UNODC 2015b). Significantly, Bolivia has dramatically reduced its coca supply while respecting new benchmarks for success, including respect for human rights, full citizenship rights for farmers, empowering local communities and developing long-term economic alternatives to coca (Farthing & Ledebur 2015; Youngers & Ledebur 2015). Undoubtedly, a negotiated approach like Bolivia’s community control takes longer to show results than forced eradication, yet coca reduction under the new system can be more readily sustained as farmers are provided with real economic alternatives. Strong agricultural unions characterize the Chapare region. At the grassroots are the sindicatos, territorially bound self-governing units composed of anything from 20 to 200 people. The sindicatos are grouped into sub-centrals, which in turn make up six federations representing more than 40,000 families. In the past policy makers viewed Bolivia’s coca grower organizations as an impediment to coca control. In contrast, today they are seen as key to the effective implementation of the cato policy and complementary development initiatives. Since the launch of the cato accord the coca growers are now motivated to actively collaborate in the fight against drug production. Each sindicato takes on the responsibility to ensure that none of its members are involved in processing cocaine paste. If a production site is found on a members’ plot, then the landowner will immediately lose their cato and potentially also their land. The profits derived from processing cocaine paste are so slim that most farmers are not willing to run this risk. Rather, they are much more likely to denounce traffickers to the police. As a result of this pressure, the cocaine paste producers have been forced to alter their behaviour, with many shifting their operations deeper into the jungle, but also outside of the Chapare and into urban areas (Grisaffi 2014a). Community coca control is not easy and demands constant negotiations with coca-growing communities; however, the long-term impact far outweighs its shortcomings. From the perspective of the Chapare coca growers, the new policy is a step in the right direction. The violence provoked by forced coca eradication is regarded as a thing of the past and they have been able to re-establish themselves after years of impoverishment. Most coca growers agree that limiting coca cultivation is a small price to pay for peace, full citizenship and economic stability. Although the US refuses to acknowledge this, the program also meets stated US goals to reduce coca acreage. In this sense it is a win-win situation. best practices that are not just well known but are also available for implementation and replication… initiatives that enrich dialogue and can inspire each country to understand how it can successfully manage the various challenges posed by drugs within its particular context and economic, political and social circumstances (Briones et al 2013: 6). The 2016 UNGASS will see a significant lobby (including the EU and OAS) to advance ‘alternative development’ instead of militarized enforcement (Buxton 2015). It is essential then that policy makers do not repeat the same old mistakes. Bolivia provides valuable insights into how a different and more effective development strategy might be pursued. The Bolivian case shows that successful crop reduction depends on the state treating coca farmers as citizens and partners, rather than as criminals who actively stimulate the drug trade. Land titling combined with the legal recognition of a limited amount of coca can create the framework for non-repressive state engagement and the protection of citizen rights. The Bolivian experience illustrates that strong social organizations, with a sense of group efficacy, have to be permitted within a state structure and be recognized as valid counterparts in local coca control and development. Thus another important step is the strengthening of local government (including capacity building and guaranteed budget provision) to allow it to act upon coca grower demands. The EU’s municipal strengthening program in the Chapare region is a key example in this regard. National governments and their local operators also need to focus on providing adequate social services, such as road infrastructure, health and education (basic responsibilities of all states) without conditioning them as rewards for eradication of coca crops. Delinking human development from crop and drug control objectives is an indispensable prerequisite to establish the legitimacy of state actions and the trust to implement further initiatives. Control efforts will inevitably fail if policymakers continue to operate a system that encourages people in coca-producing regions to perceive the government as a repressor and not as a service provider. Finally, coca production cannot be significantly reduced without implementation of a viable sustainable livelihoods approach. It is common sense that proper sequencing is a crucial element to integrated development in coca producing regions. Yet, the Bolivian approach goes further by employing subsistence income from coca (which has no comparable substitute in terms of income generation) as the anchor for unprecedented income and crop diversification. It is not feasible to apply Bolivia’s unique home-grown strategy in other coca-growing or illicit crop production regions without significant modification appropriate to each context. Nevertheless, the community coca control initiative presents some fundamental elements that could be adapted and integrated into strategies elsewhere. The Colombian coca farmers have long advocated alternative approaches to coca control. For example in 1994 (before the advent of aerial fumigation) Colombian farmers proposed a coca-for-subsistence model with production ceilings for community coca reduction. The government rejected this innovative approach and coca production spiralled thereafter.23 The end of aerial fumigation and increased potential for a peace accord between the Colombian government and the FARC indicate that there is political will to look for alternatives. The draft agreement on ‘The Solution to the Illicit Drug Problem’ calls for voluntary crop reduction, integrated sustainable development initiatives and the active participation of local communities in planning and execution, all features of the Bolivian model. However, in spite of these positive steps, the Colombian government continues to insist on the total elimination of coca production and that crop ‘substitution’ is possible and viable (Schaffer & Youngers 2015). The draft version of the peace accord conditions development assistance and state engagement on farmers meeting prior agreements for coca eradication. It puts timelines for compliance in place without establishing similar deadlines for the state initiative. The accord also sets unrealistic timespans for the provision of aid that will guarantee subsistence until other sources of income can be implemented. The government proposes six months while the FARC has suggested two years (Mesa de Conversaciones 2014). Looking at the Bolivian experience the authors would suggest far longer is needed. Bolivia’s sustainable development initiatives took almost a decade to be consolidated and still farmers are dependent on coca. In short, the FARC-Government of Colombia accords borrow key pillars of Bolivia’s community coca control strategy without adopting its indispensable cornerstones: coca for subsistence and lack of conditionality. Without modification, this strategy risks falling short of its objective and justifying further violent forced eradication, fumigation and repression. Peru, Colombia and Bolivia share a long history of ineffectual forced eradication, criminalization of coca farmers and failed development initiatives. So long as external demand for illicit drugs remains, people will keep growing coca because it presents a solution to families’ subsistence needs, which cannot be easily replaced. Thus all that drug policy makers can realistically ever achieve is to affect how and where coca is grown. Given these parameters, if US policymakers remain committed to supply-side initiatives then they should opt for reduced coca production with guaranteed subsistence as a human alternative to the myth of total eradication. Less coca grown by engaged citizens, who can feed their families, is preferable to continued eradication with the associated violence, poverty and recurring failure. To achieve sustainable, effective and safe coca reduction, the Bolivian experience teaches that governments should provide basic services and infrastructure in compliance with their obligations to their citizens and not as incentives for crop reduction. States and the international community should seek to empower grassroots organizations and create the conditions for their inclusion and collaboration with coca policy. Finally, the international community must shift its focus and demands away from meaningless eradication statistics to human development indicators to measure progress in coca-growing regions. Bolivia’s experiment with community coca control opens the door for other countries to experiment with alternative approaches to reduce coca acreage. 1This research was funded by the Open Society Foundation, the SSRC/Open Society Foundation’s Drugs, Security and Democracy Fellowship, the Leverhulme Trust and the Economic and Social Research Council. 2In Colombia, some indigenous peoples have traditionally used coca; however, as they represent a very small segment of Colombia’s population (around 3 per cent) coca use is very restricted. 3The justification for classifying coca as an illegal substance has its roots in a UN study published in 1950. This study has since been discredited as inaccurate and racist for its characterization of coca chewing as a disgusting, backward and dangerous habit. 4These negative environmental impacts are not restricted to coca farming. We might expect similar results if tropical colonization was provoked by gold mining, logging or ranching. 5Since 2009 UNODC data shows that overall coca crop acreage has decreased (mostly driven down by efforts in Colombia). 6In 2000 the US and Colombia jointly launched Plan Colombia, an eight-billion dollar ‘aid’ package (80 per cent of which is destined for the police and military) with the stated aim to reduce narcotics production by half within six years and to regain security in the country. 8Author interview, Egberto Chipana. Chipiriri, Chapare, 2006. 9The terms of the October 2004 accord stipulated that the cato policy and coca distribution would be re-evaluated after the publication of a broad-based legal market study. Publication of the long-awaited study occurred in October 2013. 12Author interviews with Carlos Hoffman, 2010, 2011, 2012 and Jonas Rojas 2010. 13Author interviews with Giovanni Terazzas, Shinahota, Chapare 2013. 15Bolivia shares its coca data with the United Nations Office on Drugs and Crime. 16Coca data in Bolivia is now so accurate that in 2013 the United States government felt obliged to quietly downscale their own coca growing estimates for Bolivia during Morales’s tenure by an average of 5000 hectares per year (AIN 2014). 17To date more than 800 farmers have lost the right to cato because of non-compliance (Opinión 2014). 21Email Communication with Pedro Arenas, Observatorio de Cultivos Declarados Ilicitos. 16 November 2014. 22Email Communication with Ricardo Soberón, 27 October 2014. The authors would like to thank the participants at the ‘Insecure Spaces in Latin America: Encounters with Violence and Drugs’ workshop, held at the University of Oxford (27th November 2014). The authors would also like to thank the following people and organisations, Insa Koch, Linda Farthing, Nicolaus Hansmann, Pedro Arenas, Ricardo Vargas, the Unidad de Control Social Vice Ministerio de Defensa Social, and The Federación Especial de Trabajadores Campesinos del Trópico de Cochabamba (FETCTC). Addicks, G, Hübner-Schmid, K and Cabieses, H (2010). Estudio de la intervencion de la Union Europea en la poltica sectorial de desarrollo integral y de coca en Bolivia (1998–2010). GTZ International Services. Available from: http://www.eeas.europa.eu/delegations/bolivia/documents/more_info/201105_informe_interverncion_ue_desarrollo_integral_es.pdf (accessed 5th March 2014). AIN (2008). Bolivian Coca growers cut ties with USAID. Andean Information Network. Available from: http://ain-bolivia.org/2008/06/bolivian-coca-growers-cut-ties-with-usaid/ (accessed 2nd January 2009). AIN (2014). ONDCP Dramatically Downscales Potential Cocaine Produciton Estimates for Bolivia. Andean Information Network. Available from: http://ain-bolivia.org/2013/08/ondcp-dramatically-downscales-potential-cocaine-production-estimates-for-bolivia/ (accessed 18th November 2014). Briones, A, Cumsille, F, Henao, A and Pardo, B (2013). The Drug Problem in the Americas: Analytical Report. Washington, D.C.: Organization of American States General Secretariat. Buxton, J (2015). Drugs and Development the Great Disconnect In: Global Drug Policy Observatory. Swansea University. Cabieses, H (2010). The ‘miracle of San Martin’ and symptoms of ‘alternative development’ in Peru In: Drug Policy Briefing No. 34. Amsterdam: Transnational Institute. Carter, W and Mamani, M (1986). Coca en Bolivia. La Paz: Editorial Juventud. CONALTID (2013). Gobierno presenta resultados del Estudio Integral de la Hoja de Coca In: La Paz, Bolivia: Secretaria de Coordinacion Consejo Nacional de Lucha Contra el Trafico Ilicito de Drogas (CONALTID), Ministerio de Gobierno. Durand Ochoa, U (2014). The Political Empowerment of the Cocaleros of Bolivia and Peru, Studies of the Americas. Baingstoke: Palgrave Macmillan. ERBOL (2014). UE califica de exitosa lucha antidroga de Bolivia. ERBOL Digital. Available from: http://www.erbol.com.bo/noticia/seguridad/17092014/ue_califica_de_exitosa_lucha_antidroga_de_bolivia (accessed 2nd July 2015). Farthing, L and Ledebur, K (2015). Habeas Coca: Bolivia’s Community Coca Control In: New York: Open Society Foundations. GAO (2012). Counterdrug Assistance: U.S. Agencies Have Allotted Billions in Andean Countries, but DOD Should Improve its Reporting of Results In: Washington DC: Government Accountability Office (GAO). Gootenberg, P (2008). Andean Cocaine: The Making of a Global Drug. Chapel Hill: The Univeristy of North Carolina Press. Gootenberg, P (2014). Peruvian Cocaine and the Boomerang of History. North American Congress on Latin America 47(3): 48–49. Grisaffi, T (2014a). Can you get rich from the Bolivian Cocaine trade? Cocaine paste production in the Chapare. Andean Information Network. Available from: http://ain-bolivia.org/2014/03/can-you-get-rich-from-the-bolivian-cocaine-trade-cocaine-paste-production-in-the-chapare/ (accessed 1st April 2014). Grisaffi, T (2014b). Drugs Policy Reform in Latin America In: Jackie ed. West South America, Central America and the Caribbean 2015. The Europa Regional Surveys of the World Series. London: Routlege. Grisaffi, T (2016). Social Control in Bolivia: A Humane Alternative to the Forced Eradication of Coca Crops In: Labate, B, Cavnar, C and Rodrigues, T eds. Drug Policies and the Politics of Drugs in the Americas. Cham, Switzerland: Springer. Hristov, J (2009). Blood and Capital: The Paramilitarization of Colombia. Athens: Ohio University Press. Mejia, D (2010). Evaluating Plan Colombia In: Keefer, P and Loayza, N eds. Innocent Bystanders: Developing Countries and the War on Drugs. New York: The World Bank and Palgrave Macmillan. Mesa de Conversaciones (2014). Borrador conjunto: Solución al problema de drogas ilícitas, Havana, May 16 2014 Available from: https://www.mesadeconversaciones.com.co/comunicados/borrador-conjunto-soluci%C3%B3n-al-problema-de-las-drogas-il%C3%ADcitas (accessed 7th November 2015). Metaal, P, Jelsma, M, Argandona, M, Soberon, R, Henman, A and Echeverria, W (2006). Coca Yes, Cocaine, No? Legal Options for the Coca Leaf In: TNI Briefing Series. Amsterdam: Transnational Institute. Ramirez, S and Youngers, C (2011). Drug Policy in the Andes: Seeking Humane and Effective Alternatives In: Stockhom, Lima and Atlanta: The Carter Center and International IDEA. Schaffer, A and Youngers, C (2015). Twilight Hour of Aerial Fumigation in Colombia Shows its Injustice, Ineffectiveness. WOLA. Available from: http://www.wola.org/commentary/good_riddance_to_a_bad_policy_twilight_hour_of_coca_fumigation_campaign_highlights_its_in (cited 23rd October 2015). UNODC (2005). Alternative Development: A Global thematic Evaluaiton In: New York: United Nations Office on Drugs and Crime. UNODC (2011). Estado Plurinacional de Bolivia: Monitoreo de Cultivo de Coca 2010 In: La Paz, Bolivia: United Nations Office on Drugs and Crime (UNODC). UNODC (2015a). Colombia: Coca Cultivation Survey 2014. Bogota, Colombia: Oficina de las Naciones Unidas Contra la Droga y Delito / Government of Colombia. UNODC (2015b). Estado Plurinacional de Bolivia: Monitoreo de Cultivos de Coca 2014. La Paz, Bolivia: Oficina de las Naciones Unidas Contra la Droga y el Delito. UNODC (2015c). Perú: Monitoreo de Cultivos de Coca 2014. Lima, Peru: Oficina de las Naciones Unidas Contra la Droga y el Delito; DEVIDA. Vargas, R (2011). USAID’s Alternative Development Policy in Colombia In: Drug Policy Briefing No. 38. Amsterdam: Transnational Institute. White House (2015). Presidential Determination — Major Drug Transit or Major Illicit Drug Producing Countries for Fiscal Year 2016. The White House Press Office. Available from: https:www.whitehouse.gov/the-press-office/2015/09/14/presidential-determination-major-drug-transit-or-major-illicit-drug (cited 5th November 2015). Young, K (2004). Environmental and Social Consequences of Coca/Cocaine in Peru: Policy Alternatives and a Research Agenda In: Steinberg, K, Hobbs, J and Mathewson, K eds. Dangerous Harvest: Drug Plants and the Transformation of Indigenous Landscapes. Oxford & New York: Oxford University Press. Youngers, C and Ledebur, K (2015). Building on Progress: Bolivia Consolidates Achievements in Reducing Coca and Looks to Reform Decades-old Drug Law In: Washington, DC: Washington Office on Latin America. Youngers, C and Rosin, E eds. (2005). Drugs and Democracy in Latin America: The Impact of U.S. Policy. Boulder; London: Washington Office on Latin America; Lynne Rienner Publishers. Youngers, C and Walsh, J (2010). Development First: A More Humane and Promising Approach to Reducing Cultivation of Crops for Illicit Markets In: Washington: Washington Office on Latin America.